With his face emblazoned across t-shirts, posters and countless other pieces of paraphernalia worldwide, Bob Marley is a true icon – one of the few artists in history to transcend his music career to become a symbol of a nation, a genre and a culture. Kevin Macdonald’s biopic 'Marley' aims to delve beneath the surface to deliver an “intimate, human portrait of the legendary singer”, from his early life in Jamaica’s impoverished Saint Ann Parish to the heights of global fame and his eventual death from cancer in 1981. It’s certainly an ambitious undertaking (and one that has been beset with false starts, with Martin Scorsese initially attached to direct, before being replaced by Jonathan Demme and finally Macdonald) but which has been helped along immensely by the participation of prominent figures in Marley’s life, including notable musical collaborators like Bunny Wailer, as well as his children (Ziggy and Cedella), his long-suffering wife Rita and several of his (many) extra-marital lovers. This broad spectrum of talking heads gives a fantastic insight into the different facets of Marley’s life, career and personality. We learn of his insecurity about being mixed race, his struggle to break into the music business, his gradual immersion in the Rastafari way of life, his astonishing work ethic, his romantic indiscretions, his aloof approach to fatherhood and his political and cultural influence – all of which help to bring new meaning and depth to his lyrics. Macdonald uses a combination of stills and archive interview and concert footage (some of which is previously unseen) to evoke the exciting, electric atmosphere of the 60s and 70s, weaving these retrospective segments together with present-day images of Marley’s old haunts to create vivid, authentic impressions. All of this is set to a brilliant soundtrack of the Wailers’ most celebrated songs, as well as a few lesser-known tracks from the early years that illustrate the evolution of the band’s style and reggae music as a whole, and reflect the different periods of Marley’s life. 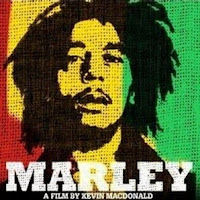 Although the tone is overwhelmingly celebratory and uplifting, Marley’s flaws are also given due treatment, ensuring that the film never verges on indulgent hero-worship. Full of poignant and inspiring moments, 'Marley' is a fitting tribute to a great man and a must-see for any music fan. 'Marley' is out now on DVD and Blu-ray. Purchase from amazon.co.uk.